Once again I’m thinking about reworking terrain render. Introduction of terrain textures rendered old terrain render approach useless. 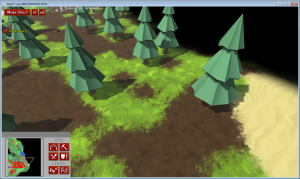 Now with textures and procedural transitions between them it is no longer necessary to have extra polygons. Each tile can be just 2 triangles (except for special cases described below). And then there’s no need for complicated assembly of terrain out of a set of tiles, where each one has to be picked and transformed to fit into its place. All this can be replaced with a uniform mesh where just textures weights have to be applied. 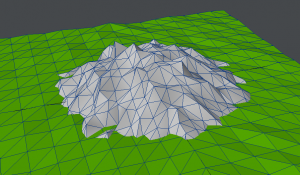 Mountains being a smaller problem – they could be made of a separate mesh, similar to “plain” terrain. 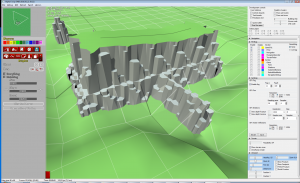 A more detailed and volume mesh that rise above “plain” mesh only when there are mountains. 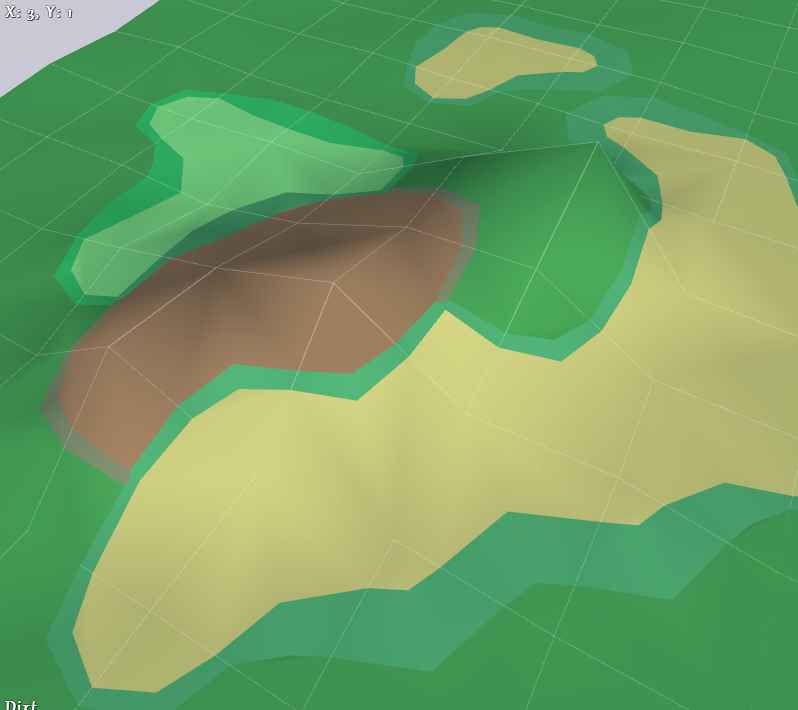 The problem here is the transition between 2 meshes – it could look unnatural if mountain comes out of grass for example. What is good with this approach, is that is water rendering fits in nicely into this “meshes-layers” paradigm. So there’s flat terrain mesh, walkable and interactive in game (can be flattened and such). Then there’s water surface mesh (which could become editable in MapEd and could acquire some special properties alike “flow direction”). And finally mountains mesh that could be more detailed and much less regular to allow for wilder mountains shapes. So let’s say that evens out the ugly flat-mountains transition. Gorges are a different problem. I haven’t found solution for them yet .. This entry was posted in How things work, Ideas. Bookmark the permalink. I like how the terrain is implemented in Setters 6. I think it looks good and it’s fairly simple. 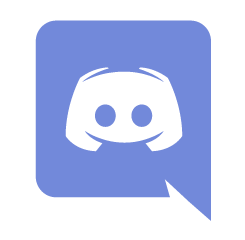 Can’t wait for the final reworked game, keep up the good work!